There is something serene and assuring for the entire duration of any movie as long as there is Ginger Rogers in them. I have watched quite a lot of her movies - excluding the famous musicals which she appeared with Fred Astaire. She comes across as a simpleton in many of her roles and usually plays the characters with vibrant expressions, which makes you fall in love with her. My wife was beside me and yet I could not stop admiring her beauty and telling my wife about the same. 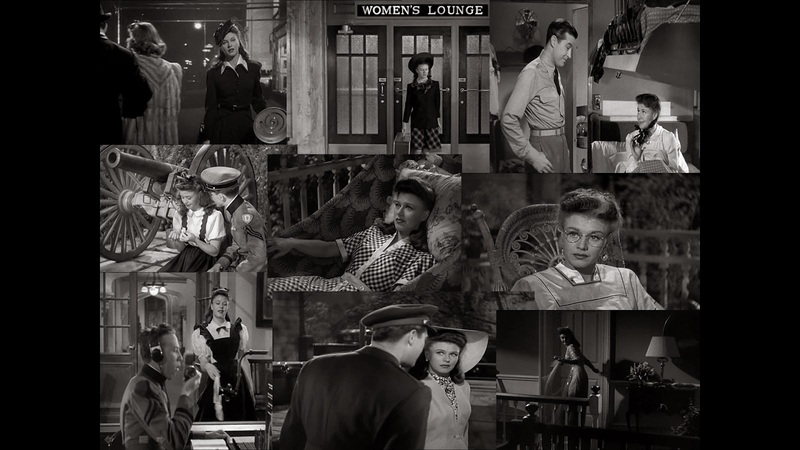 Susan Applegate played by Ginger Rogers is witty, homesick, short in cash - running out of excuses and patience at the train station until she sees a lady who is buying a half-ticket each for her two children. One moment - Susan appears as a perfect young lady, someone with whom you always wished to dance at a ball. And in the next scene she disguises herself as a 12-year old and manages to board the train with a half ticket. The newly found disguise and her antics would be short lived as the conductors soon find out she isn't a kid from the Swedish stock, which she claimed for her excessive height. Even the Greta Garbo's famous line 'I want to be alone' from Grand Hotel doesn't impress them and is chased away when they catch her smoking while breathing in fresh air. 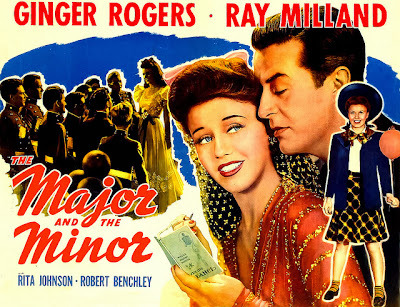 Major Kirby played by Ray Milland comes across as gentleman who offers refuge to the 12-year old Su-Su, her alias. He is on his way to his military institute and to his fiancée Pamela. In spite of these coincidences, twists and turns to the plot -the movie retains the humour without a dull moment. 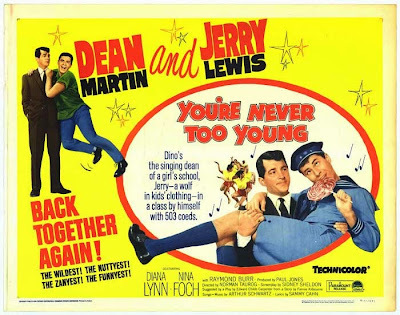 Billy Wilder after being in industry for close to 14 years and having written stories and screenplays for around 40 movies makes his debut as a director with this movie and keeps the crowd entertained without any dull moments throughout. Other characters who play a significant part in the movie are Kirby's devious fiancée Pamela played by Rita Johnson, Lucy - the science freak and the sister of Pamela played by Diana Lynn; the six cadets from the military school who take turns in impressing Su-Su and Lela Rogers as Mrs. Appleton. This 1942 movie was later made in another version as You are Never Too Young in 1955 - which starred Jerry Lewis disguising as a 12-year old. The 1955 movie's plot also inspired the Hindi comedy movie Half Ticket which had Kishore Kumar playing the kid supported by Madhubala and Pran. When I remember of The Major and the minor - all I can think is Ginger Rogers and her different avatars in this movie. A beautiful scalp treatment lady; a 12-year old kid; alone girl wanting care and affection in the train; a confused love struck belle who plays the centre of attraction to those hundreds of young cadets in the institute; a doll who resembles Judy Garland from The Wizard of Oz; a maiden of the prom night; a young woman hopelessly lost and in love; a matured and elderly Mrs. Appleton or the lovely lady Susan who waits at the train station for Kirby towards the end. Take your pick and rest assured you will be left mesmerised with the ease in which she has portrayed all the above mentioned roles. Nice review. You love for Ginger comes through. What always amazed about this film is how it avoided any hint of a perverted scenario. It's just all good clean fun thanks to a good script and talented performer.